SDGs two years on – where are we and where do we need to be? On 25 September 2015, all 193 Member States of the United Nations unanimously adopted a bold new global agenda to end poverty by 2030 and pursue a sustainable future. Two years on, are we on track to achieve the Sustainable Development Goals (SDGs)? How can we pursue such a long-term agenda in a world that is changing so rapidly? How to maintain the initial enthusiasm when the daily grind of implementation sets in? The Sustainable Development Goals report, recently released by UN DESA’s Statistics Division, offers some answers. 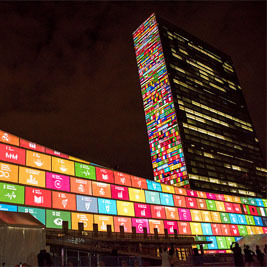 The study finds that implementation of the 2030 Agenda for Sustainable Development has begun in earnest, but it needs to accelerate to fulfill the SDGs’ promise of eradicating poverty and building peaceful, inclusive societies for all on a clean planet by 2030. The report notes considerable progress in many areas, but it also concludes that the benefits of development are not equally shared. For example, between 2010 and 2016 women spent, on average, almost triple the amount of time on unpaid domestic and care work as men. And despite the global unemployment rate falling from 6.1 per cent in 2010 to 5.7 per cent in 2016, youth were nearly three times more likely than adults to be without a job. Reaching the most vulnerable groups – the furthest behind – first will therefore be crucial to delivering on the 2030 Agenda’s promise to leave no one behind. Uneven progress should not obscure the significant gains countries have made in addressing poverty, hunger, inequalities and climate change. Two years in, many countries are aligning their national development strategies and plans as well as their budgets, to prioritize an integrated delivery of the 2030 Agenda. Even more countries are willing to show off their progress to the world and make it a subject of an open discussion with other countries, the civil society and other stakeholders. This unique learning process, called the Voluntary National Reviews (VNRs), which is helping countries benefit from each other’s experiences, is gaining momentum. The first High-level Political Forum to review SDGs progress, held in 2016, saw 22 countries present their VNRs. This year, it was already 43 and over 40 countries have volunteered to present in 2018, as of August, 2017. The willingness of countries to publicly display their efforts towards sustainable development and listen to other states’ comments and suggestions is a very encouraging sign that they have, indeed, progress to be proud of. The acceleration required to meet the Goals by 2030 will not happen on its own. A resolute, sustained effort by political leaders, the private sector, civil society and ordinary citizens is indispensable to achieve the goals. But for that effort to materialize, the goals need to be recognized and embraced by all sectors of our societies. That is where the SDG Advocates step in. These 17 eminent persons – from heads of state and government, to successful entrepreneurs to sport and show business stars – are assisting the UN Secretary-General in raising awareness of the SDGs. This year, most of them will attend the 72nd Session of the General Assembly to continue making the case for accelerated SDGs action and to spread awareness to the people of the world. They will also meet with the Secretary-General and Deputy Secretary-General to plan for future advocacy opportunities, appear in the SDG Media Zone and participate in numerous side events throughout the week. Some Advocates, such as Richard Curtis, are also holding their own side events to promote the SDGs. In the 40 years since the adoption of the landmark Buenos Aires Plan of Action (BAPA), the world has experienced an unprecedented economic and political transformation. Nowhere has this change been deeper and more rapid than in the South. The time is ripe to reflect on how South-South and triangular cooperation have emerged as distinctive platforms for international development cooperation. 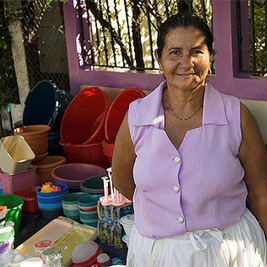 The Development Cooperation Forum (DCF) High-level Symposium, which will be held by UN DESA and the Argentine Government from 6 to 8 September in Buenos Aires, will look for ways to further boost the contribution of South‑South cooperation and other novel partnerships to achieving the Sustainable Development Goals (SDGs). A recent UN DESA survey found that more than 85 developing countries are already providing development assistance, including technical expertise or capacity building, to other developing countries. Many have a dedicated entity responsible for South-South and triangular cooperation. The two-day Symposium in Argentina will bring together for frank and focused discussion 120 participants, including ministers, representatives of civil society, academia, think tanks, private sector, multilateral development banks and international organizations as well as parliamentarians and local authorities. The participants will explore the challenges and opportunities faced by South-South and triangular cooperation as well as the many different strengths that may make these forms of collaboration particularly fit for advancing the 2030 Agenda for Sustainable Development. They will also share their knowledge and experiences in implementing SDGs to learn from each other’s successes and mistakes, and to generate concrete policy recommendations. The Symposium will be the first preparatory meeting ahead of the 2018 Development Cooperation Forum and a key milestone in the run-up to the 40th anniversary of the Buenos Aires Plan of Action (BAPA) for Promoting and Implementing Technical Cooperation among Developing Countries. Established by the UN Economic and Social Council (ECOSOC) in 2007, the Development Cooperation Forum reviews trends and progress in international development cooperation, including strategies, policies and financing. It promotes greater coherence among different development actors and activities.